ng age Mathis practiced different methods of modern and ancient arts. He had extra-ordinary talent at drawing or sketch. In every method he investigated its own specially and uniqueness. For some days he exercised Persian art. Other time he started painting in the mode of child-drawing but understand that this method was not for him as his efficiency and wisdom were the obstacles for the child –drawing. That is why he took such a method which engaged through, sincerity flawless craftsmanship and simplicity like child drawing . His art attracted the audience through there was no rhythm, standard and harmony of conventional art. Matisse presented greatness in keeping harmony with surroundings in sketching. The paintings took two- dimensional from due the minimal use of light and shade. He was spontaneous in subject selection. He could make a simple subject a great one with his skill. The device of artists does not depend on the subject of painting but it depends on his own experience. To an artist the external aspect does not matter. The real aspect is that which is reflected in the mind of an artist. 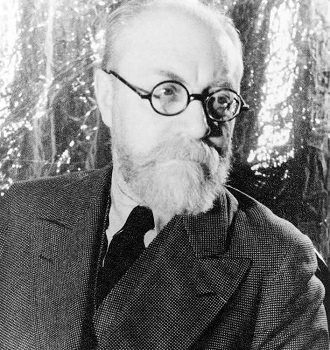 In Matisse painting external aspect was disregarded. He used red, blue etc of his own in portrait. The color was deep and bright. ‘The dance’ was Matisse one of the great paintings. It is now kept in MOSCO. This painting was drawn in bold line and wash. A group of males and females was dancing round in a circle. The Personalities here are symbols only but artists aim Artist Henri Matisse “The Dance” painted by Henri Matisse 14 Arts and Crafts was not to show the external appearance of the body. He made this painting to expose the eternal harmony and movement of the dance. Matisse painting “Head of Women “ was a successful example of the method of drawing picture in minimum use of color , lines, technique and labor. He was dead in 1954. Rembrandt and Tisian also great artist. Lets we see their biography.